Louise earned a degree in anthropology from the University of Saskatchewan, followed by ethnographic fieldwork with Northern Cree people in Northern Manitoba. This and other travels and work in the North has given her a life-long love of the Canadian North, which she revisits annually with a group of friends during regular canoe trips on Saskatchewan’s many challenging northern lakes. In addition to working both as a volunteer and professional in environmental education, Louise’s varied experience includes work in curriculum development, consumer affairs and human rights. Louise’s interests also include travel, photography, canoeing, hiking and riding. Horses and dogs have been a part of her family since childhood. With husband Tim she has two children, Neil and Laura. 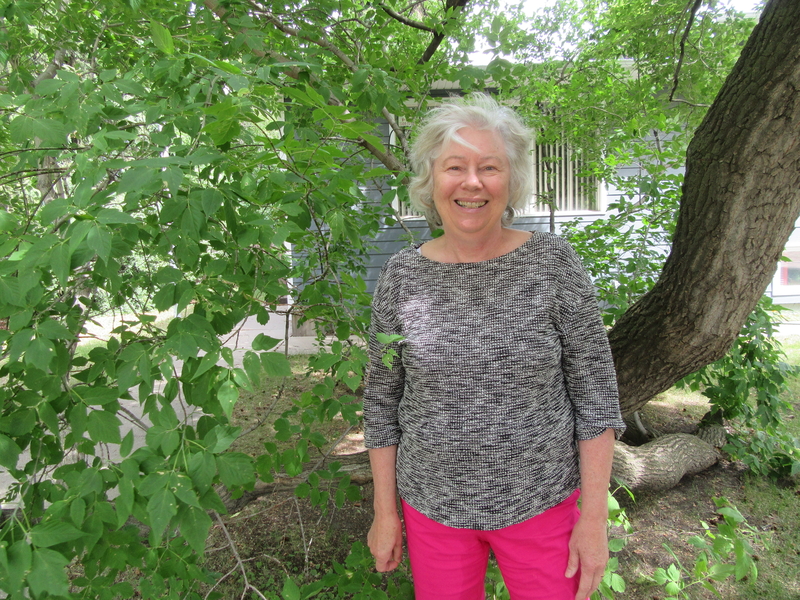 In 2002, Louise retired after twelve years as Project Leader at Brightwater Science and Environmental Centre, Saskatoon Public Board of Education, where she established program content and contracts, managed the pre-field trip preparations for school groups, guided teachers and program leaders in project leadership, worked on site restoration and served as goodwill ambassador for the Centre. She also worked as a contract consultant in education, environment and heritage. Louise accepted the Melanson Award at the CANSCAIP/SOEEA Prairie Horizons Conference at St. Michael’s Retreat Centre in Lumsden. Louise Jones Melanson Award Citation, SOEEA, 2003.